The autonomic nervous system controls your pulse and your glands. But your imagination can also take control... you can choose what you will think about. And what you think about can change your physical body. Forty years ago, when José Silva began his groundbreaking research in this field, scientists would have laughed at the very idea of studying the imagination. Because José Silva had no formal educational training, he simply didn't know any better. Like the famous Wright brothers, his research was driven by passion, not by educational background. He created specific exercises that his children could use to quiet their minds and lower their brain rhythms. They could do this without losing consciousness (as in sleep), and without losing conscious control (as in hypnosis). A strange thing happened one evening at the Silva house. It was a normal week night, and José was working with his daughter Isabel on her schoolwork. She had relaxed and used her training to go into her alpha brain-wave level so that her father could begin quizzing her on her lessons. Suddenly, and quietly, the routine was momentously changed. As José formed a question in his mind, Isabel answered it. It was a question he had not yet spoken! Then she answered another, and another. are on the cutting edge of medical research today. It was Albert Einstein who said that most people use only 10 percent of their mental capacities. By implication he was saying that his brain was no different from anyone else's, that he had only learned to use more of it than other people. Our brains function as two halves, a Right Brain and a Left Brain—two brains with two very different functions and points of view. alpha level is the ability to listen to your Right Brain. your lost, but not forgotten, God-given powers of imagination. and the imagination are in conflict, the imagination always wins. Silva workshop into an easy-to-use audio program. 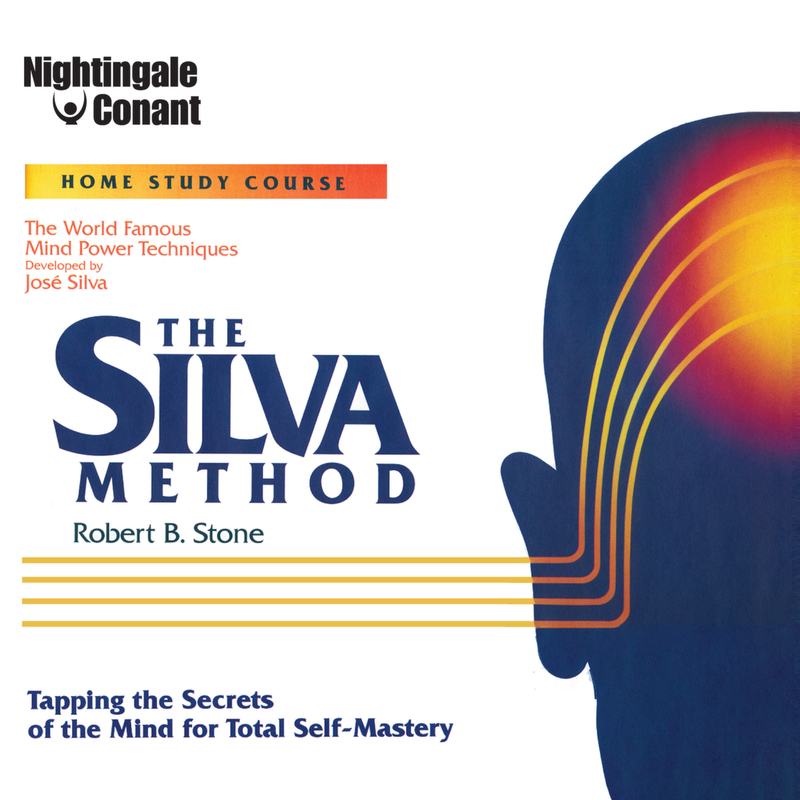 The Silva Method audio self-study course is all about. mental programming and your own destiny like The Silva Method. José Silva's startling discovery. The three components of faith—desire, belief, and expectancy. Tapping the hidden resources of the mind. Applying the Silva Method in your daily life. Your awesome brainpower. Using both hemispheres of the brain. Objective vs. subjective functioning. The case of Emil Coue. An exercise to take you to your alpha level. The problem of negative self-programming. How the Mental Housecleaning Method works with language, thoughts, and daydreams. Focusing on what you want, turning it into a reflex, and getting it. Steps toward a positive way of life. Developing your abilities to visualize and imagine using the Mental Screen. The spiritual dimension. How to instantly trigger alpha with the three fingers technique. Turning problems into opportunities by using both sides of your brain. Becoming clairvoyant. A five-step process for intuitive problem solving. Premiering your own mental movie. How Dynamic Meditation works. The "Distant Viewing" project. Using subjective communication to create ideal relationships with friends and family. Finding your purpose in life. Putting the intuitive wisdom of your dreams to work. The Glass-of-Water technique: instant solutions from the deep, subconscious mind. What intelligence really is. Acquiring a fail-proof memory. The Rapid Learning technique. How visualization improves your memory. Learning to use your mind like a natural genius. Discovering your power for self-healing. The Energy-Enhancing technique. A seven-step guide to relieving chronic pain. Activating your body's natural pain-control systems. Using the Silva Method to create better health. How unwanted habits can be programmed out of your life quickly and easily. Creating new solutions for your life. Selecting the right mental imagery for you. Permanently ending unwanted habits like overeating and smoking. Building your mental laboratory. Finding your spiritual counselors. The importance of daily creative sessions. Channeling the energy of consciousness. Using Right-Brain reference points. Bringing genius to everything you do. Finding and strengthening your clairvoyant powers. Exercises for your Right-Brain education. Projecting your mind in time and space. Five steps to continue your mental transformation. A shift in the understanding of Consciousness. The long-range implications of Silva's discoveries. The morphogenetic field. Programming positive change. A quick and easy means of reinforcing your ability to enter the alpha level. Play whenever practicing advanced Silva techniques to help you maintain your alpha level and make better use of your mental powers. Use to guarantee a deep focus and a successful, dynamic meditation session. Conduct your own mind-power experiments, and discover just how powerful your mind can be! My role here at Nightingale-Conant used to include screening new product ideas. So, I was given the opportunity to attend a Silva Method Seminar - just one of the perks of the greatest job on earth! Yes, I want to gain access to the revolutionary and life altering information to break through the 10% barrier.